How Trusting Customers Drives Profit reveals how firms unwittingly broadcast that they don’t trust their customers, how that weakens profit, and how firms can take the leap. It’s a simple revolutionary idea that’s born from nine years of studying behavior while practicing experiential social media and social business. Analysts, consultants and professors increasingly say that customer experience is the last bastion of competitiveness, and an increasing portion of total experience occurs in digital public. This presents firms with an unprecedented opportunity: interacting with people in digital public can create trust at scale and drive profit from revenue and cost levers. 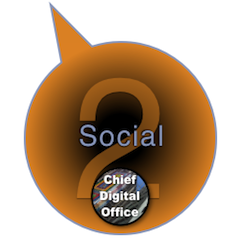 Chief Digital Officer Needs Analysis: Do You Need a CDO? 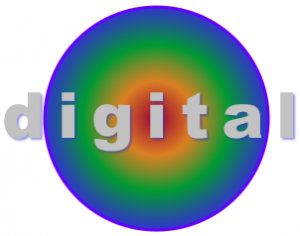 Chief Digital Officer Needs Analysis is an executive summary of how CSRA helps organizations assess their need for “going digital” and hiring digital executives. 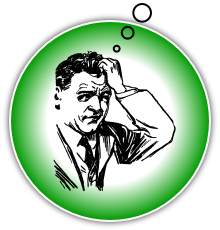 These engagements serve as “requirements analysis” for an enterprise, business or brand. Astute CEOs and boards of established firms and brands are awakening to an increasingly uncomfortable reality: for many, business results have been flat, and customers are behaving “unpredictably.” Since this is such a prevalent trend, there is emerging consensus that “going digital” is the way to get closer to customers(1) and revitalize business. CEOs or board members get on the phone to their executive recruiter to search for a Chief Digital Officer, a “digital CMO,” or maybe a digital-savvy CIO to lead digital transformation. As we’ll see, in so doing they are too often putting the cart before the horse. They will get better results by assessing their needs for digital expertise first, so I’ll offer a simple yet robust needs assessment process. CIO Guide to CDOs and Digital Transformation summarizes a presentation I gave to TechLeaders Association, a Chicago-based CIO group. It will brief you on how digitally empowered B2C and B2B customers are forcing change on enterprises by demanding seamless interactions across digital and analog interfaces, the rise of the Chief Digital Officer and how CIOs can use this disruption to their advantage. Omni-channel will become the new normal in industries in which a leader provides the omni-channel experience and raises the bar. While explaining omni-channel, I asked the room how many had abandoned transactions with ecommerce or mobile sites because they were too difficult to use, and 40% raised their hands. When leaders field their omni-channel experiences, customers will reject laggards en masse. CIOs can use these developments to their advantage, and the CIO Guide to CDOs and Digital Transformation shows how. [UPDATED] Step inside a data scientist’s mind, and learn why probability is the key to profit and how it’s the key to understanding and using big data for better decision making. This fascinating and useful book clearly shows how people misunderstand probability and misuse statistics—and therefore big data—and how the knowledge gap leads to faulty models, thinking and decisions. New winners and losers are emerging in the digital social and big-data age. A new digital divide, people who think like data scientists and use probability to support decision making—and everyone else. The data science group will outperform, and Fung shows how creative, fun and useful data science is. How to Tap the Social Business Double Value Proposition outlines an efficient and rigorous process for using social business for digital transformation in two ways: social business itself can drive reputation, preference and profit, and it’s the fastest way to develop requirements for mobile, ecommerce and big data investments. 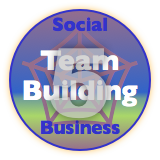 The social business double value proposition works because it discovers, engages and validates the organization’s understanding of stakeholder outcomes. Every organization’s crucial stakeholders have outcomes that they hope to attain by interacting with the organization or using its products or services. Developing deep and broad knowledge of stakeholder outcomes enables the organization to serve and quickly deepen their relationships with their stakeholders—by helping them attain their outcomes by collaborating online; moreover, since it opens fast and inexpensive communication and collaboration channels with them, it can create a continuous innovation process and sustainable advantage over rivals. 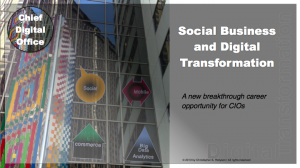 TheSocial Business Enabler of Digital Transformation reveals how social technologies have changed the economics of interacting and collaborating, and it presents four ways that Chief Digital Officers can use social to lower risk and boost returns of digital transformation. Social business competency is pivotal to digital transformation because it combines four unusual characteristics. 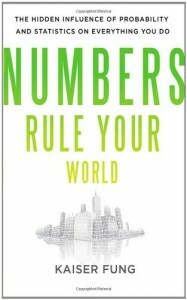 First, it makes interacting and collaborating an order of magnitude faster and less costly than current processes; second, few organizations understand how to use social business to interact with key customers to boost profit, so leaders enjoy rare advantage; third, when compared to ecommerce, mobile and big data & analytics investments, social business shows results quickly and costs less. Lastly, social business reveals what stakeholders really think when organizations aren’t in the room, so it’s effective for due diligence and “requirements analysis” for ecommerce, mobile and big data investments. Personal Individualized Experience is the DNA of digital transformation. It refers to using an optimal mix of people and digital technologies to provide personal interactions at scale, so it’s central to the mission of chief digital officers and CEOs and boards who hire them. Prior to digital and social technologies, organizations faced a trade-off between “personal” and “efficient” interactions with their stakeholders (customers, clients, employees, partners, regulators… hereafter “users”). Now this is no longer true; they can provide personal interactions at scale, once they learn how and where to interact efficiently and authentically. Used well, digital and social technologies retain an authentic human element while digitizing key aspects of relating to people. 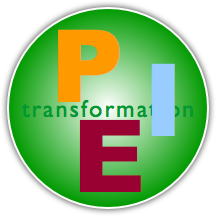 Therefore, organizations/firms/brands (hereafter “firms”) can now provide the Personal Individualized Experience (PIE). This post explains the three components of PIE and shows how firms can use them to build and maintain authentic and profitable relationships with users. 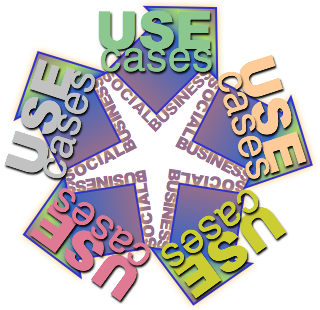 [UPDATED] Social business strategy use cases represent scenarios in which most organizations find themselves, and they reflect some of the choices of which CDOs, CMOs and CEOs may use as they plan to evolve their enterprises in order to either improve returns or simply remain relevant in volatile markets. Social business strategy is inherently transformational to large organizations whether they are in commercial, nonprofit or government sectors. All organizations are hives of people communicating and collaborating to execute business processes (“work”). Digital social technologies have reduced the cost of communication (and therefore much collaboration and work) by an order of magnitude (roughly ten times). Collaboration and innovation, before digital social technologies, were slow and expensive. Now they are very fast and inexpensive—when organizations learn how to use them. Organizations that learn how are more responsive to their constituents and customers, so the market rewards them—and will increasingly punish those that lag too far. Transform the Enterprise is almost always initiated by the CEO’s office, the CDO, the board of directors or other strategic body. 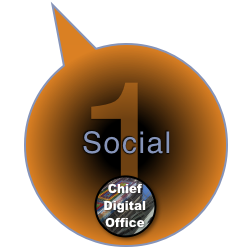 Its defining characteristic is enterprise transformation, using social business as a key enabler. Some of its common business contexts are: the hiring of a (new) CDO (Chief Digital Officer), which is itself a commitment to use social business for transformation; a merger, major acquisition or sale whose focus is to redefine the enterprise; “pervasive social business” that results when several of the enterprise’s brands have had some social business success that the executive team wants to scale; scaling enterprise 2.0 social collaboration technologies; self-disruption to create a new level of competitiveness.